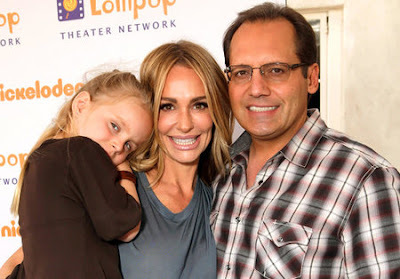 iRealHousewives | The 411 On American + International Real Housewives: Taylor Armstrong Reveals Her Daughter Kennedy Doesn’t Miss Late Husband Russell! Taylor Armstrong recently revealed that she is trying to keep the memory of her ex-husband Russell Armstrong alive for the sake of their daughter. The Real Housewives of Beverly Hills alum recalled the day she discovered her ex-husband's body. “It had never crossed my mind in the past. He was very narcissistic and not someone who you would ever think would take their life. But ultimately, I found him hanging in the house that he had move into,” she said in audio obtained by The Blast. At the time, their daughter Kennedy was 5 and Taylor had already filed for divorce after Russell had “fractured” her orbital floor. When Taylor went to the home where Russell was residing, her daughter was with her. Thankfully Kennedy “was in the car” with her assistant when Russell’s body was discovered. Taylor revealed that she has tried to keep positive memories of Russell’s life alive for Kennedy’s sake. “My psychiatrist had said to continue to bring up her father to her so that she doesn’t think people just disappear,” Taylor told Wasser. The former RHOBH star said Kennedy, who is now 12, has unpleasant memories of her father. According to Los Angeles Coroner Assistant Chief Ed Winter, Russell was pronounced dead by paramedics at 8:16 p.m. “There was no suicide note found,” Winter told PEOPLE. Taylor has since moved on and married her attorney John Bluher - they will celebrate their fifth wedding anniversary this April.